My favorite band Pink Floyd, the 70’s famous English band, is still popular among the fans of alternate music. They were the first British band who took psychedelic music to a new level and changed my taste in music. 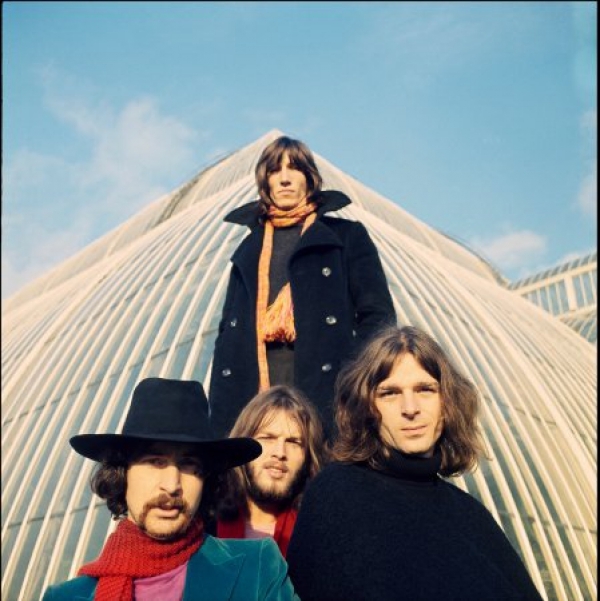 At the early 60's, three architecture students Roger Waters, Nick mason and Richard Wright started a musical group, which took different other members and performed under several names, until Syd Barrett joined them, and named the band Pink Floyd. The name was inspired by blues musicians- Pink Anderson and Floyd Council. Sadly, Barrett passed away in 2006. But together, they produced some legendary albums that were very different from mainstream music. Later, David Gilmour replaced Syd because of his worsening schizophrenia, and the band carried on with their successful musical journey. Their album covers and sleeve artwork gather the emotional impact of the music with intense and meaningful imagery. During their golden time, this was majorly provided by the prowess of photographer and graphic artist Storm Thorgerson and his graphic studio Hipgnosis. Even in their album covers, they managed to introduce evolution like the famous picture on the cover of Wish You Were Here where a man shaking the hand of his burning alter-ego and the refracting prism embedded in Dark Side of the Moon. But it’s a shame that after The Final Cut, the band members separated into different ways by releasing solo albums. Philosophical lyrics and experimental music are what made you so different from others. Your songs fill me with a feeling of nostalgia and nothingness. Like those lines in ‘Time’. “There is no dark side of the moon really. As a matter of fact, it's all dark.”- Pink Floyd.